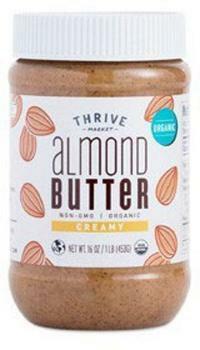 Thrive Market is recalling unexpired lots of various Thrive Market-branded nut butters. The “Best By” date and lot code can be found on the jar above or below the label. Consumers with questions may visit the firm's Recall Information FAQ webpage or contact the member services team by email at help@thrivemarket.com\.